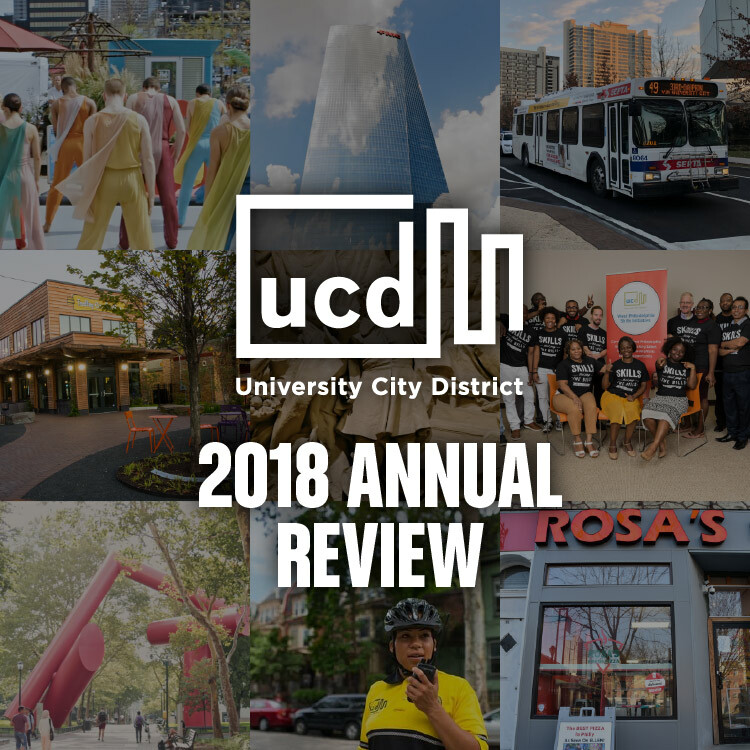 Each year we publish the State of University City, the University City District Annual Report, newsletters, pamphlets, and more, keeping residents and visitors up to date on the happenings of University City and its surroundings. For publication inquiries, contact Alissa Weiss, Director of Strategic Initiatives and Communications at [email protected] or 215.243.0555 x251. We are proud to release The State of University City 2019. This latest edition of our annual publication illustrates University City’s status as an engine of remarkable prosperity, innovation and vibrancy, boasting world-class public spaces and amenities. Our latest State of University City can be downloaded on the left or viewed online below. Inspired by the New York Times '36 Hours' series, 36 Hours in University City is a recently created guide filled with suggestions about how to best spend 36 hours in the neighborhood. It's a great resource for visiting friends and family, and residents looking for something new and different to do in their neighborhood! Connection is the quarterly newsletter of University City District and is available as a PDF download. To join the mailing list, please email [email protected]. University City District (UCD) is pleased to announce the release of the 2017 WPSI Impact Report. University City District works year-round to change places and change lives. Read about a few of the ways we did so in our 2018 Annual Review. At UCD, we are continually using research, data, and experimentation to inform new projects and initiatives. The Porch at 30th Street Station: 5 Years, 5 Lessons takes stock of our experience since conceiving of and opening The Porch, providing lessons that have informed our own growing public space work while contributing to a national and global conversation about urban amenities and placemaking. The Case for Parklets: Measuring the Impact on Sidewalk Vitality and Neighborhood Businesses. We encourage you to use this directory and buy locally as often as possible. Supporting our one-of-a-kind businesses and preserving the distinct character of University City will help the neighborhood thrive and continue to grow. These businesses are an integral part of what makes University City a great place to live, work and play. Be sure to frequently check in with us online as we continue to announce new and exciting developments throughout the neighborhood at both universitycity.org and ucreview.com. You may pick up your copy of Close at Hand at the UCD office (3940 Chestnut Street), Monday through Friday from 9am to 5pm. Any provider of goods and services located in University City with a telephone number and address in the neighborhood qualified for a free listing in this publication. We have made every attempt to be as comprehensive as possible. The inclusion of a business in this publication does not constitute an endorsement or recommendation by University City District or the University City Review.